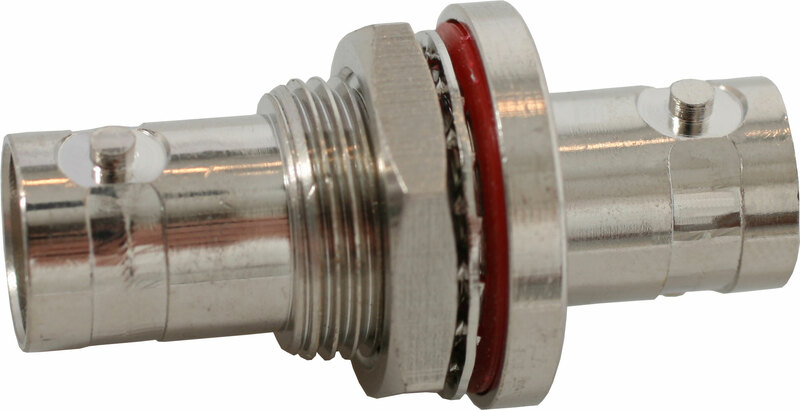 CN-BNCPM Connector is used for front mounting antenna to rack ears. Connector only, extension cable (EXTBNC) needed. A BNC Cable and Connector Combo kit is available that includes the 19.69" (50 cm) Extension Cable and a single BNC Connector. Standard 19.69" (50 cm) RG58 extension cable for front mounting antenna. Front mount connector (CN-BNCPM) needed. The DHX packs the tools for the pro. The DHX has Auto Scan, where it will search for an available frequency to use, and then IR Sync the frequency to a transmitter. The large LCD display shows channel number, frequency, lock mode, and volume output. The DHX receiver has an easy to read RF and AF indicator. The UHF diversity antennas ensure quality operation. The DHX works great with any 77 or 65 Series transmitter. The DHXR4 offers the same great features as the DHTRQUAD system, with 4 receivers in a single rack space chassis. The DHXR4 offers 4 independent receivers, each with Auto Scan, IR Sync, and 120 selectable channels. The receivers have also been improved with Tone-key squelch for improved rejection of outside interference. The DHXR4 has a built in antenna combiner and power distributor. The DHXR4 has 4 independent XLR outputs (one for each channel) as well as mixed output, allowing the user to submix the microphones on the DHXR4 and come out of one XLR or 1/4" output. The DHXR4 can be used with any 65 or 77 Series Handheld or Body Pack transmitter. The PSE is a UHF diversity receiver with 16 selectable channels. The receiver features a volume control, channel display, Diversity Antennas and IR Sync. The PSE has an XLR 1/4" output and squelch adjustment. The PSE is available with a handheld, body pack with headset or lav, or instrument cable.